A different way to set your quilt blocks "On-Point"
Are you bored of the same old piecing techniques? 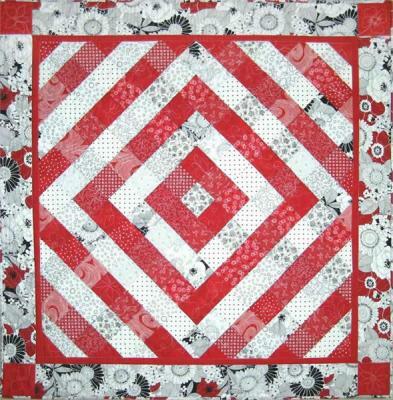 Have you gotten into a rut of constructing quilt tops that are a series of 12” squares, neatly pieced side by side? Feel like you’ve been constructing nothing but checkerboards lately? Have we got a solution for you! Let me get straight to the point…. “Straight to the Point.” “No”, I’m not repeating myself. And “Yes”, pun intended. 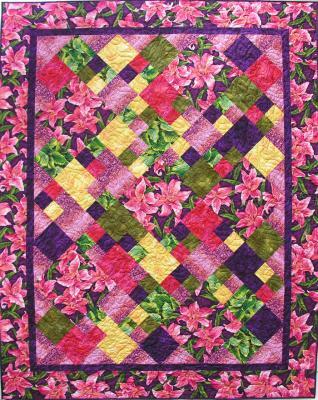 We have a series of quilts that are constructed using our “Straight To The Point” assembly method. 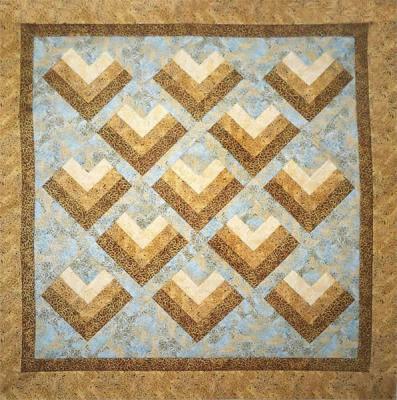 This technique was developed by Ann Anderson (former owner of QuiltWoman.com) and Susan Mayer. 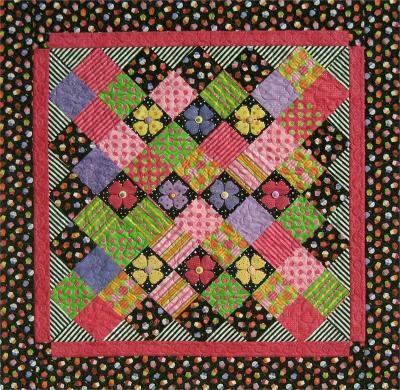 The result is a beautiful quilt with blocks set on point, and no setting of triangles involved. So how does it work? You start by sewing your blocks in a straight set. Now this part requires a little fortitude. You get out your scissors or rotary cutter and, GASP, cut the quilt into three sections! Trust us…this works! You then rearrange the sections. In this image, the sections are in the same orientation as above, just rearranged. Sew them back together. The step 4 image shows the sections stitched back together. 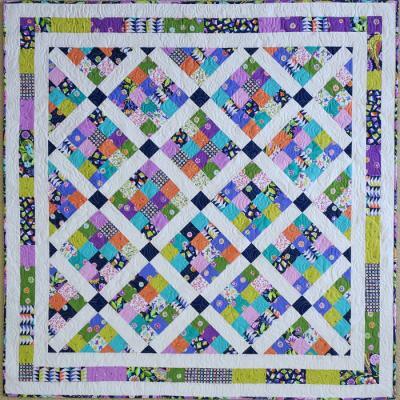 Add straight borders to it and you have a beautiful quilt with a minimum of fuss. 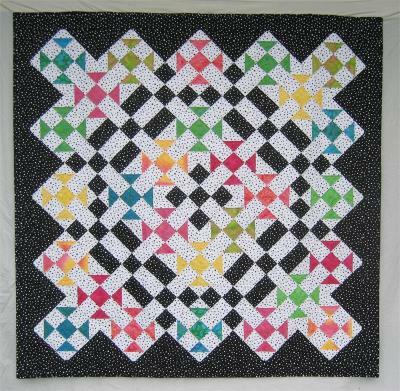 In this particular pattern, Stars for Audrey, you get the extra added bonus of a complex border. And notice, a checkerboard in sight! We have had the Straight to the Point series in our line-up for a number of years, with more versions being added all the time. These patterns have proven to be some of our best sellers. So, if you are looking to get out of your piecing rut, making a quilt using this technique in one of QuiltWoman.com’s Straight To The Point patterns could be just the thing. And we won’t tell the admirers of your quilt how easy it was to assemble it. That will be our little secret! This entry was posted in patterns and tagged patterns, Straight to the point. Bookmark the permalink.